I’m not into NASCAR the same way I’m into F1 or Touring Cars. I appreciate and respect the work the crews and drivers do on and off the track, but it’s not normally my thing. 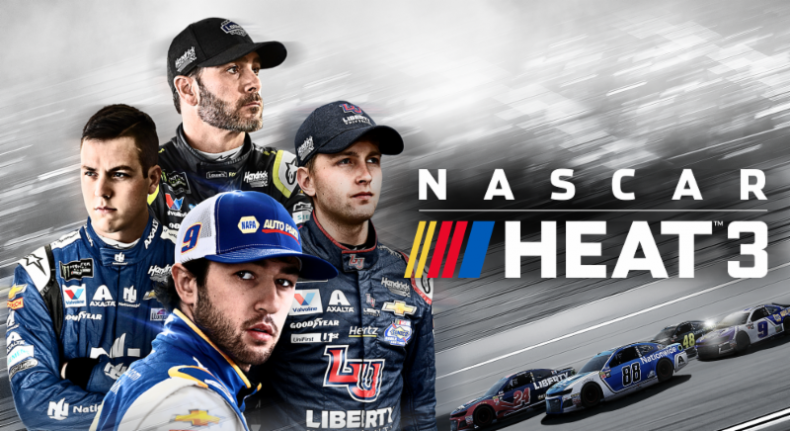 That’s why I was so surprised when I played the previous NASCAR Heat games and found them to be rather fun, so I was looking forward to playing the latest entry in the series. If you haven’t played a NASCAR Heat game before, this third game is a great place to start. 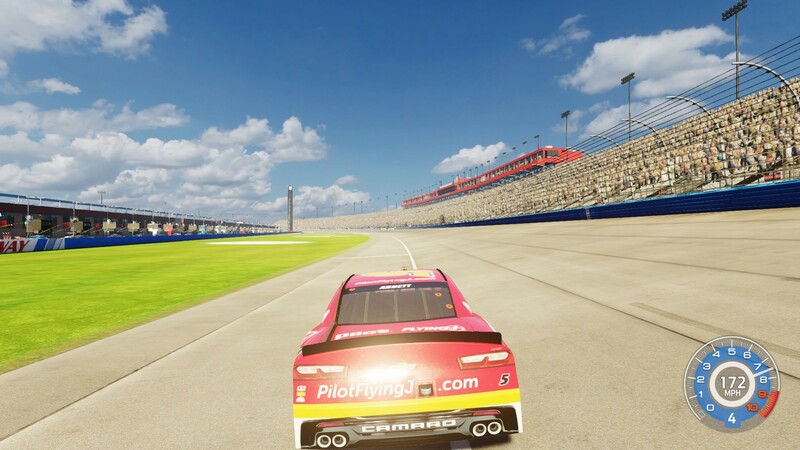 It offers the full range of drivers from the main Monster Energy NASCAR Cup Series, plus the support classes of the NASCAR XFINITY and Camping World Truck Series; also adding the non-sanctioned Xtreme Dirt Tour this year, which is essentially stock car speedway and forms the starting point for the career mode. Career mode is where you’ll be expected to spend most of your time, but be aware that it suffers from the same problems as the previous games, in that it takes far too long to really get going. You’ll start off by creating your driver in a fairly basic fashion, then you’ll sit around and wait for “hot seat” drives, wherein you will be asked to drive for a team (presumably because their usual driver is out of action) for one race. If you match or exceed the team objective, they will consider you for a full drive during the next season. The issue here isn’t that you have to wait for a full drive; the problem is that you have to sit and watch a little calendar between races, followed by another wait as the game checks for offers of a drive that week. You won’t always get a drive, but instead of just skipping to the next drive, you have to wait for the check every single time. This drags out the process far more than necessary. Luckily, the action on the track is decent enough. You can select how long you want races to be, much in the same way you can do in the F1 games, based on a percentage of real race distances. You can also take part in practice sessions, which offer a racing line so that anyone can learn the optimum line and speeds for each track. You might be wondering why you’d need this for a game that involves driving around oval circuits; but like real NASCAR racing, it’s not a case of simply stamping on the loud pedal and never needing to slow down. There are subtle differences in the style and angle of each track’s bends, with some requiring a little braking before turning and others only needing you to lift off the accelerator briefly or to keep a steady speed throughout the corner. 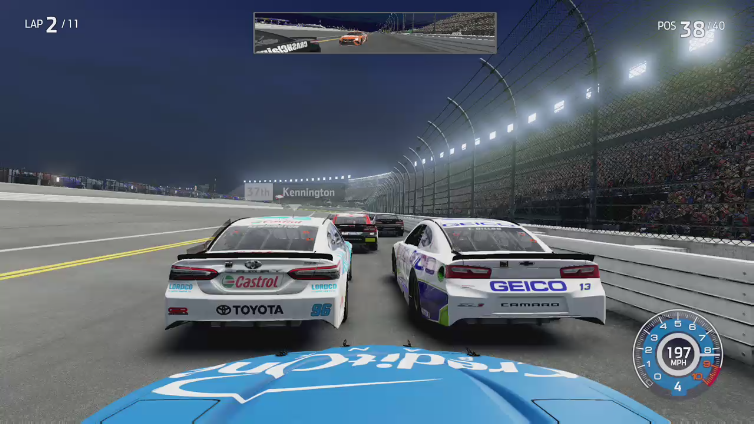 It’s way more complicated than you probably expect, but while NASCAR Heat 3 isn’t a full simulation like Project CARS 2, it’s still a representation of NASCAR itself and how those cars drive on real circuits; in that, it’s a success. It’s just a shame the AI doesn’t really match up to that representation of the sport. Well, unless NASCAR drivers like to stick rigidly to the same line on every lap, regardless of whether another car is in the way or not. I’ve had my speed compromised because a competitor has driven into the side of my car, effectively leaving me fighting to straighten up my vehicle, far too many times. It just feels very much like a last gen game in that respect, which just isn’t acceptable on today’s consoles. Even less so, when this happened on both previous Heat games. Unfortunately, it still looks like a last gen game too. I get that it doesn’t have the budget of Codemasters’ F1 titles, but on the third attempt the game still hasn’t really improved visually. It hasn’t improved in how it runs either, as it often struggles to hit a steady framerate. It can hit 60fps sometimes, but at random it will dip below 30 and it never seems to find a nice compromise. Whether this is down to optimisation or the Unity engine however, I’m not qualified to say. At least this game has done away with the random freezes, for which I am grateful. NASCAR Heat 3 is a fun game and a great representation of the sport, but its career mode takes too long to get going and its AI is rather archaic. Although it does have a nice handling model that is simple, but deep enough to simulate the basic feel of NASCAR racing; it’s just a shame it hasn’t moved on much since the last game. 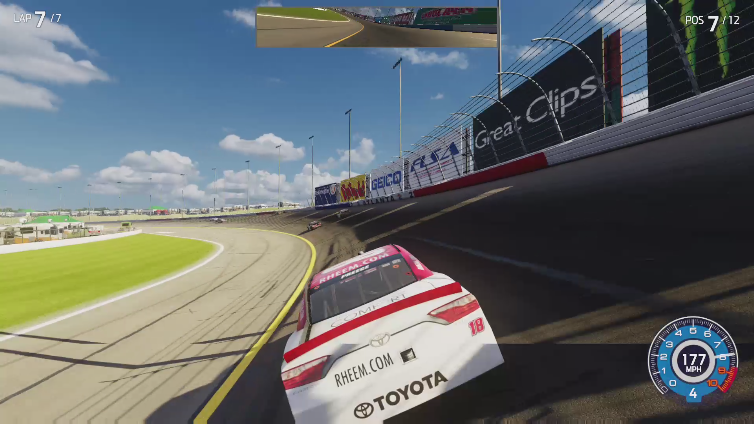 While NASCAR Heat 3 is still a fun racer and a great representation of the sport and its support classes, it just doesn’t do enough to differentiate itself from the previous two games.